Good evening my dear crafters and welcome to Yarnandhooks. 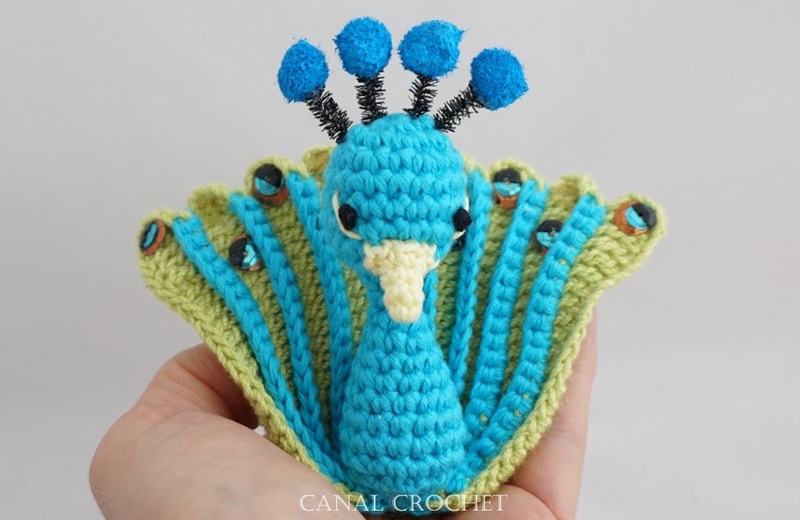 Today we will be teaching you how to crochet this majestic sweet little peacock in various colors. As you can see this is an extremely cute and quite easy project to make, even for some absolute beginners. In our previous posts we’ve already brought you some helpful instructions on how to make peacock feathers and 3D peacock feather stitch scarf. Now, it’s time to move on and learn to crochet this adorable peacock in just a short period of time. There is no doubt you’ll love the result at the end of your crocheting process. Just make sure you follow the step by step written directions very carefully and patiently. So, we wish a very best of luck to you. Enjoy yourself and always feel free to share your experience with us and other crochet lovers. Link to the free pattern is down below.